One of the largest segments of the consumer goods sector, the footwear industry includes the manufacture, design, production and sales of shoes. The footwear industry can be segmented into athletic and non- athletic shoes, men’s, women’s and children’s shoes, and online and retail distribution channels. China is expected to sell $79.9 billion worth of shoes by 2020, growing at a CAGR of 6.3% according to Smart Research Insights. In the U.S., $79.7 billion worth of shoes were sold in 2016, with a CAGR of 6% according to Euromonitor International. The global footwear market will be worth $425.2 billion by 2022, growing at a compound annual growth rate (CAGR) of 6.2% from 2016 to 2022, according to estimates from KBV Research. Key factors that will drive demand for footwear include population growth and the emergence in developing economies of a large middle class group with significant purchasing power. 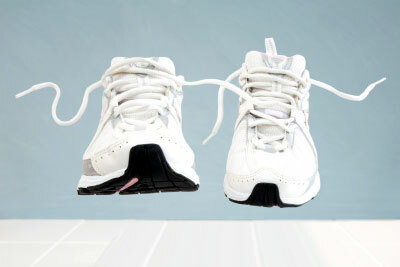 Four trends will call for a response from footwear manufacturers. Significant innovations in the athletic footwear segment have been made by focusing on the anatomy of the foot and its movement. Advances in this segment have allowed the introduction of features such as temperature management, durability, extensive cushioning and lightweight fabric. There is a shift from a product-centric approach (mass production) to a customer-centric approach (mass customization) allowing customers to get involved in the development/design of the footwear. Industry players should take cues from other industries in order to develop and design a unique athletic shoe. For example, Adidas’ Energy Boost, was developed using ideas from the automobile industry. A fragmented consumer market, with each segment using different media channels for information, has made marketing tough for footwear manufacturers, especially small players. Therefore, companies are increasingly adopting an omni-channel marketing model, combining virtual and physical stores to connect seamlessly with consumers. Footwear manufacturers should adopt an integrated marketing strategy – use a mix of traditional, social and digital media as well as innovative techniques such as crowd sourcing. This will personalize the consumer experience, helping to create a distinct brand identity. Footwear manufacturers are trying to improve their corporate image by being more environment-friendly. Analytics help companies to separate production techniques and to optimize their use of limited resources such as water and fossil fuels. For instance, Nike used analytics to reduce water wastage by developing a water-free dyeing technique, ColorDry, for its Flyknit shoes. It also found alternatives to cotton, a water intensive crop. Footwear manufacturers should deploy analytics to improve production techniques and reduce environmental impact. A shortage of workers and rising labor costs in China are driving Western companies to seek to procure quality footwear supplies from alternative destinations in Asia such as Vietnam and Indonesia. Manufacturers should develop a flexible supply chain, allowing them to use a wider range of suppliers. Additionally, sharing information from source to point-of-sales is needed to integrate all aspects of the supply chain, ensuring timely and quick responses to changing consumer trends.